Home Front brings together four collections by four writers: Bryony Doran and Isabel Palmer (pictured top left and bottom left), both mothers of young British soldiers who served in Afghanistan; and two American poets, Jehanne Dubrow, wife of a serving US naval officer deployed to the Persian Gulf and other conflict zones, and Elyse Fenton, wife of a US army medic posted to Iraq. The book was launched on Remembrance Sunday 2016 at Dulwich Literary Festival. Bryony and Isabel read together at Poetry in Aldeburgh on 4 November 2018, alongside two others standing in for the US poets. Isabel Palmer won the open category of ‘Writing Armistice’, the Army’s Poetry Competition 2018 for her new poem 'Shell-shock'. She was awarded the prize at a ceremony at the National Army Museum in April 2018. She read this poem at an Armistice 100 event at Salisbury Cathedral on 28 September 2018, along with another that was commissioned especially for this event. Isabel Palmer is currently the National Army Museum’s Poet-in-Residence. Poems by Isabel Palmer and Bryony Doran from Home Front were read out in a special Remembrance Sunday edition of Words and Music: Women Writing War, which aired on 11 November 2018 on BBC Radio 3. Isabel Palmer was interviewed for a feature in the Oxford University magazine Cherwell. The piece appeared in print on 11 November 2016 and was accompanied by photographs of all four poets with work included in Home Front. The book combines the collections of four female poets on the experiences of war for those left behind. Isabel Palmer’s debut collection Atmospherics is published in Home Front alongside collections by Bryony Doran, Jehanne Dubrow and Elyse Fenton. An interview with Bryony Doran ran in her local paper, the Sheffield Telegraph, on 10 November. An interview with Bryony Doran ran in The Yorkshire Post of 9 November. 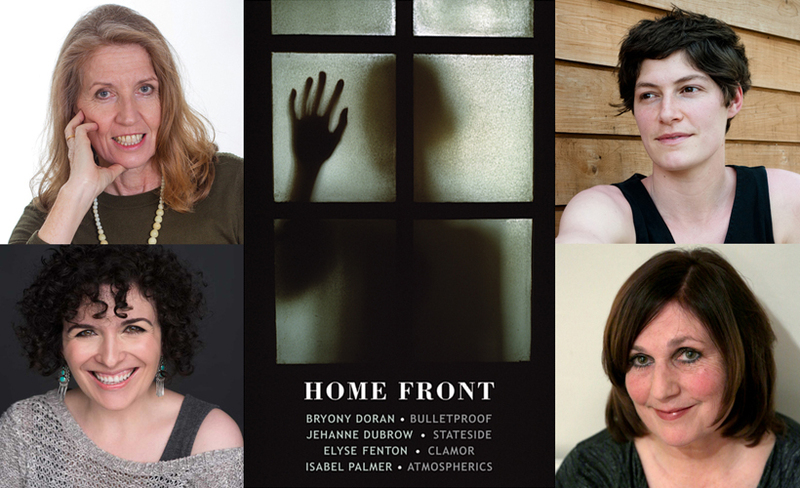 Bryony Doran’s first full-length collection Bulletproof is included in Home Front. Isabel Palmer wrote an article for the Swindon Advertiser, her local paper. It was published on 8 November and was illustrated in the print edition with a specially taken photograph of Isabel holding a copy of Home Front, along with photographs of her son Harry taken in Afghanistan and her father, also named Harry, who fought in the Second World War. A film of Isabel Palmer reading her poem 'BFPO' from her collection Atmospherics can be seen here.